Bench Events, the organiser of the Africa Hotel Investment Forum (AHIF) is launching a new sister event, named le Forum de l’Investissement Hôtelier Africain (FIHA), to focus on the markets of North and West Africa. The first edition of FIHA will take place early February 2019 in Marrakesh, with the support of our host partner, The Moroccan Agency for Tourism Development – SMIT. 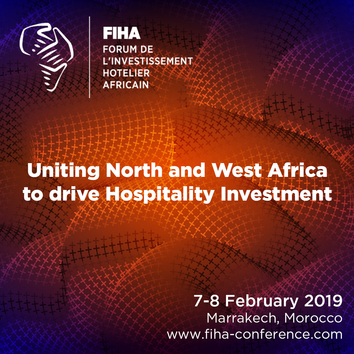 FIHA unites North and West African countries in a bid to develop their economies and support hospitality investment. FIHA connects business leaders from the international and local markets, driving investment into tourism projects, infrastructure, entertainment and hotel development across the region.